You have just birthed your new addition to the family. You have read all the books and attended the classes. But there are some things a new mother should know that are not found in books or classes. These pointers are practical and should be considered. There are some pointers a new mother should know that can only be realized from experience. So if you are a new mother it is good to surround yourself with other mothers that you idolize or admire. The practical experiences they can add are priceless and are not found in any book. The things a new mother should know are as follows: you will learn day by day, the baby usually cries for 1 of 3 reasons, you should sleep when the baby sleep, your desire to have a baby will provide your motherly instincts, and organization is essential to your survival in the early years of your motherhood. You will learn day by day. Each new mother wants to learn as much as she can so she can be the best mother possible. You will find that some advice is well deserved but others not so much so. Each child is different and responds to different stimuli. You cannot expect to raise a child by a book but by love and instincts. Yes the books and professionals will provide a wealth of information but remember every child is different and the information is generalized. The baby usually cries for 1 of 3 reasons. As a new mother, the crying of a new baby is heart breaking when you yet don’t understand why. When your baby cries it is usually because of hunger, feeling wet or because of illness. As time passes, you will learn to distinguish between the three. The difference between hunger and needing a diaper change will be the most frequent. However, if you tend to cuddle the baby more than normal then the crying may also result when the baby is not receiving the additional attention he/she has grown accustomed too. Of course they maybe other reasons, when feeding or diaper change does not stop the crying, you should see your doctor. You should sleep when the baby sleeps. This point is essential for new mothers that do not have the luxury of having family members assist in the early months of motherhood. It is natural to think that you would go about your daily activities while your newborn child is asleep. But on the contrary, while your baby sleeps it is the perfect time for you to also catch up on your much needed rest and relaxation. Caring for your newborn will require a lot of time and energy and you will also need to replenish your energy as well to prevent depression and postpartum symptoms. The responsibility of a new motherhood can prove to be overwhelming so it is important to make gradual adjustments in the beginning to ensure you and the newborn are receiving proper care. Your desire to have a baby will provide your motherly instincts. Every new mother wonders if she has the necessary motherly instincts to care for her child. But it is that very love that will enable the new mother to nurture her new addition to her life. This love for another human being will not only bring forth your motherly instincts but so much more. The love a mother has for a child is not only of nurturing but for protection as well. The instincts of a mother are matched by none other as it relates to nurturing and protecting her child. Organization is essential in the early years of motherhood. During the early years you must learn to move about with a small travel package for the baby. This travel package will consist of diapers, bottles of milk, additional clothing and possible toy or pacifier. In order for you to adequately travel with all of the additional “stuff” you must become organized. The prepacking of all that you will need to care for your newborn daily to have ready at a moment’s notice will make life easier. It is important to always have bottles on hand, clean under garments and clothing, and enough diapers for cleanliness during travel times. 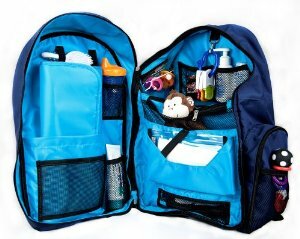 Becoming organized will smooth the frustration of constantly packing the diaper bag for travel. The points given are not exhaustive or conclusive but just points to consider during your transition into motherhood. Everyone’s experience is different but there are always some similarities along the way that other mothers can share that will assist you on your journey into motherhood. Take these points and make them yours, personal to your experience to make your life easier as a new mother. This entry was posted in family and tagged mother, motherhood, motherly instincts, new mother, newborn, Things a new mother should know, to care for your newborn. Bookmark the permalink.